With further central government cutbacks expected to impact on local authority services, councils are being urged to generate income from their most visible assets – roundabouts and road signs. Councils could be missing out on a six-figure annual revenue stream by ignoring the potential of their roundabouts, lamp-posts and ‘welcome’ signs, according to local authority media specialist Community Partners. Harrogate-based Community Partners works with around 20 councils to generate revenue from the sale of sponsorship at high-profile locations. Advertisers, in turn, benefit from high visibility and a regular flow of customers. Chesterfield Borough Council this year became the latest local authority to agree a partnership with Community Partners. This follows on from new appointments from West Berkshire and Nottinghamshire County Council. This is a new scheme for Nottinghamshire, which includes Eastwood, Retford, Worksop, and Mansfield. One of the most prestigious opportunities available is the roundabout at Junction 27 of the M1 between Mansfield and Nottingham. 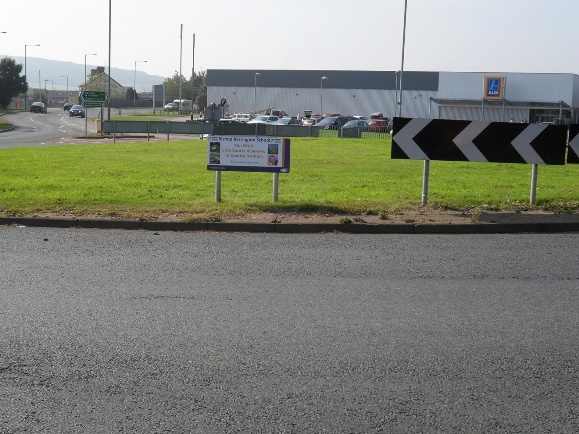 Richard Eccles, operations director, said: “Roundabout advertising is highly visual and it’s there every hour of every day, all year round. It gives businesses a local presence when their would-be customers are out and about. Such sponsorship schemes provide local businesses with the opportunity to advertise on branded signs. There is also a community benefit for those companies, as they are doing their bit to pay for the upkeep and maintenance of the area. Community Partners manages the full scheme on behalf of the council, from applying for planning permission, through to producing and maintaining the sponsored signs and selling the sponsorships.